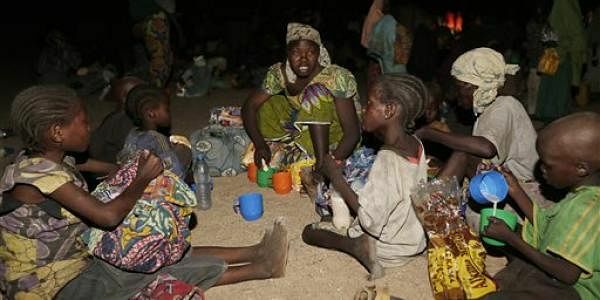 The Boko Haram insurgency has been blamed for more than 20,000 deaths and displacement of 2.3 million people since 2009. LAGOS: Nigerian government forces in the northeastern state of Borno have rescued 211 civilians from the Boko Haram group, the army authorities said on Sunday. Troops of 22 Brigade Garrison, Operation Lafiya Dole, rescued the victims during an operation in Cingal Murye and Maja villages on Saturday, Xinhua quoted army spokesman Sani Usman as saying. One the terrorist was neutralised, 11 bicycles were recovered from the fleeing terrorists, he added, noting that security team also escorted two heavy-duty trucks and 18 pickup vans to recover Internally Displaced Persons' food stuff from Mala Maja. Nigeria has made a considerable gain on the Boko Haram front, with its security forces operating in the restive region dislodging the Boko Haram fighters from the Sambisa Forest, the group's largest training camp in the country, last December.